Working in my industry I see the sharp end of mark ups, which often puts me off buying wine in a restaurant or a pub. Why on earth would I spend £20 on a bottle of wine I know I could sell in my shop at £6 a bottle? So I was absolutely delighted to discover that one of my favourite restaurants allowed customers to bring in their own wines for a corkage fee. The restaurant in question is Hawksmoor. They charge a corkage fee of £25 a bottle from Tuesday to Sunday and this is then reduced to £5 a bottle on Monday. With this in mind I picked out a bottle of aged St Emilion Grand Cru, the Barde Haut 2001 (£35 a bottle in Majestic, for any serious Bordeaux fan this is a bottle you must try) and took it with me. I was a little apprehensive at first, a mixture of fearing rejection or that bringing my own bottle would earn me the derision and scorn of the staff inside. However, nothing could have been further from the truth. Even down to disposing the bag I brought it in, the staff did everything they could to look after me and my wine. They noticed the bottle was cold (see the current weather! ), so offered alternative refreshments whilst the bottle was allowed to chambré. Once this had occurred they uncorked the wine, let us taste it and then gave us the option of a decanter. This offer particularly impressed me, full bodied reds benefit from time in a decanter as it exposes the wine to oxygen thus releasing the aromas and flavours. This style of wine and steak are natural bed fellows, so this is something other steak restaurants should take note of, allow the wine to show itself at its best, and offer us a decanter! We made our way steadily through the bottle over lunch and once finished, it was disposed of. The process of BYOB was as easy as ordering off the menu and all we had to pay on the day was the small corkage fee. It was a thoroughly enjoyable experience and a rewarding one, as it was great to enjoy a prized bottle of wine with food that was of its equal in quality. This is the true merit of being able to BYOB. Being able to match good food with good wine is important. Too often I have been eating food which over powers bland house wines. BYOB allows this to be a thing of the past. 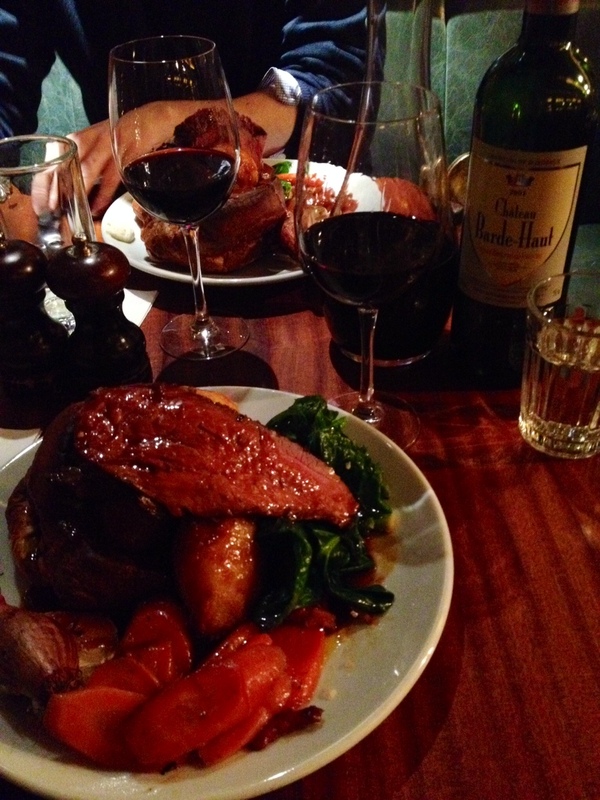 My experience at Hawksmoor was great and one I will be repeating many times, especially on a Monday. The attention to detail and the particular wine were impressive. I would like to go back with a different style of wine and see if or how the service varies. The experience of BYOB is also one that I enjoyed, it allows you to personalise and enhance your meal as well as saving you money. What more could you want? I was due to finish my article there, however, another dining experience the day after has forced me to add a final note. I went to Barrafinna, a great Tapas bar in Soho, and whilst enjoying a few dishes, a friend and I decided to share a bottle of red having both over indulged in beer over the past week. I sighed at this, worrying about what overpriced wine I would have to drink, however when I looked down the wine list I was delighted. Instead of a selection of bland Riojas and Verdejos, I was greeted with a cornucopia of unique wines from all over Spain, including some grapes and styles I had never even heard of. In the end, after much deliberation, I went for an old vine Graciano from Navarra. Stunning. A touch of spice, a hit of perfume, plenty of fruit and only £24 a bottle. 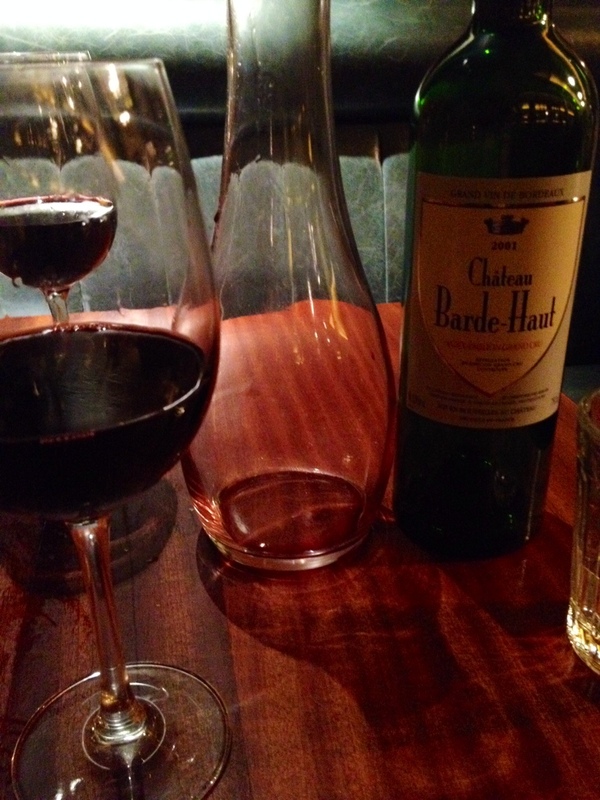 That is £1 less than corkage at Hawksmoor, let alone the cost of the Barde Haut. It reminded me, that more often than not, a top restaurant has a well chosen and interesting wine list that should be ignored at your peril. BYOB is great and hopefully something that will become more prominent in other restaurants. However maybe it is time we revised our cynicism towards the price of wine in restaurants. There is great value out there and some great wine too! Nothing can beat the excitement of an interesting wine list or the pleasure of discovering a new favourite. So I urge you, enjoy the delights of both options. A balanced wine diet is a good wine diet! I’ve lived here for three years but have been drinking in these bars for the last eight, here is a selection of mainly craft pubs that makes a nice little crawl, although I’ve thrown in a few non craft as well. The beer selection at this pub has transformed over the last five years, it now has some pretty decent beers alongside the usual London pub selection. Saturday night is Soundtracks where every song is a winner, and check their website for themed quizes such as Game of Thrones or Breaking Bad. They also host regular live music, comedy and talks. This is the sort of pub you want to live close to. What to Drink? Camden Pale Ale on draft, Goose Island on bottle or Five Points on cask. If you’re a tourist, you would consider this a proper English pub. Redeveloped last year from a local boozer to something a bit more interesting. Winner of CAMRA North London Pub of 2013, the pub now offers a lot of London beers on cask and keg along with a few German lagers. There’s usually a cat about as well (called Nelson) and they have a fun pub quiz. What to Drink? Go for something local on cask from Hackney Brewery or similar. Since the Camden bar opened in 2013, my visits have been limited by them only being open three days a week and bad weather. They have rotating street food traders most nights so there is always something interesting to eat, and the staff often try and match the food with different beers. What to Drink? Unfiltered Pale or Unfiltered Hells are rather special, or go for something seasonal such as their 2013 Triple currently on the go. The Brewdog guys opened their first London pub by driving a tank up and down the street. 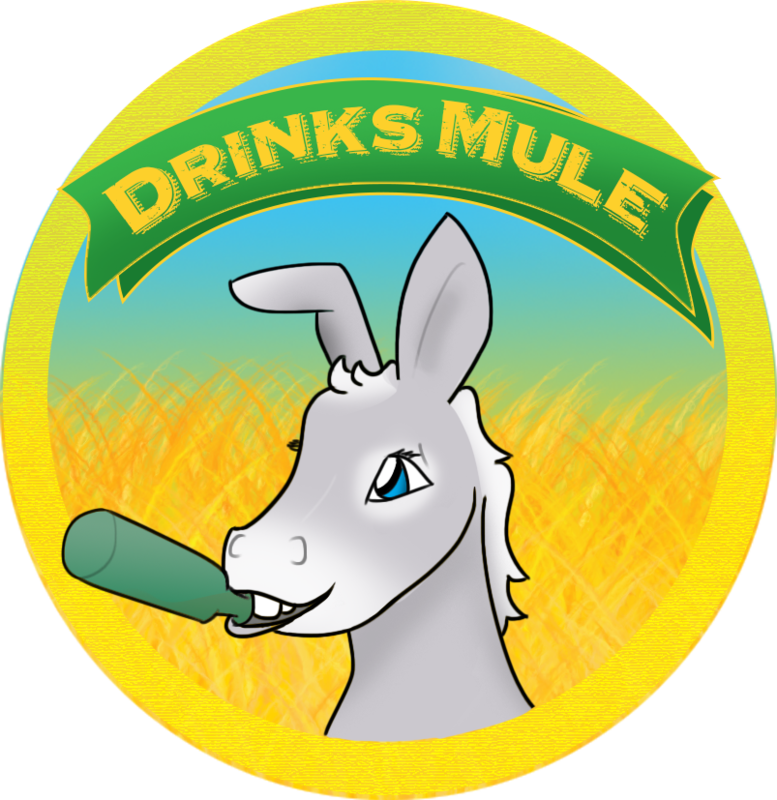 This bar is a great place to grab a drink, they have busy evenings but you still get served quick enough and their selection is impressive – it’s not just their own beers but some stunning guests as well from all over the world. What to Drink? The taps change so frequently here it’s hard to suggest anything. But there is always something interesting to try, the staff are usually knowledgable so just chat to them. If not just go for Dead Pony Club. Just down from Brewdog is the Black Heart, a great live music venue, but also a great selection of beer. Lots of American bottles and a rotating keg line that will sate your thirst. Tends to be a bit more punk so you’ll appreciate the Camden atmosphere. What to Drink? Sirens or whatever American IPA they tend to have on. Other places in and around Camden that you may find worth a visit. Just down the road from the Monarch, a bit nicer, but had a half decent selection of bottled beer and cask. It’s open until late on the weekend and has a good roof garden. A true music legend of a place, dingy but full of character and occasionally minor celebrities in the music world. Also good for late nights. Not so strong on the craft beer front, but I’m just emotionally attached to it. What to Drink? – try and already be drunk. Let me know if you’ve think I’ve missed anything off this list. Have fun and I’ll probably see you in one of the pubs!